Benjamin Kelly is New Brunswick, Canada’s Inspirational STEM Teacher of the Year for 2017. He is an Apple Distinguished Educator on the Americas’ Board, a Microsoft Innovative Educator Expert, a Global Minecraft Mentor and published educational researcher. 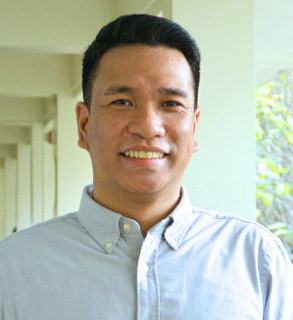 He is a grade 6-12 classroom technology teacher and holds an additional title of “Lead of Innovative Design.” He has been a TeachSDGs Ambassador since 2017. Follow him on Twitter @BBTNB. Georgina Dimova is a Computer Science teacher of 15 years, curriculum trainer, blogger, and amateur photographer, as well as an Etwinning, Scientix and Edmodo ambassador. Georgina has also been a MIE expert two years in a row. Dr Olurinola OluwaKemi, a Microsoft Innovative Educator Fellow and Master Trainer, has a PhD in Educational Technology and works with the Faculty of Education, Olabisi Onabanjo University, Ago-iwoye, Ogun state, in Nigeria. Sharon Davison is a passionate educator who believes in creativity and innovation. She has the privilege of being a public school teacher for over 3 decades. She is committed to making a difference for her students, their families and other educators, who like herself, care, and are committed to making the world better. Erin Dowd is a global education specialist and the curator of www.JRNEY.org, a website dedicated to amplifying teacher voice through global stories from the field. She is a founding member of Teach SDGs and serves as Committees Liaison. She is also the professional learning chair for the ISTE Global Collaboration PLN and was named an ASCD Emerging Leader for 2017. A former teacher and curriculum director, Erin has spent her career working to provide equitable education for students all over the world. Connect with her on Twitter @eedowd27 and @globaljrney. Connie Rensink is a passionate global education consultant dedicated to helping teachers integrate global issues and perspectives into existing curriculum. Her vision is to prepare students to be globally collaborative. Digvijay Sandhu is a graduate in Economics from Delhi University and is currently pursuing his Masters in Development Practice. He has previously been involved in preparing National and State Health Accounts – India, 2013-14 and has worked on projects funded by USAID, UNDP, and European Union. 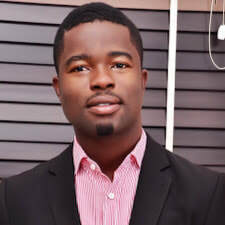 He is currently appointed by the UN Sustainable Development Solutions Network – Youth as a campus coordinator. Digvijay is passionate about the SDGs and continues to work with student bodies across universities to ensure promotion & local adoption of the Goals. He is part of governing body of the Entrepreneurship Development Cell at TERI University and is leading projects to boost entrepreneurial spirit among the youth. Digvijay is an experienced researcher and has published in reputed journals on health financing in India. He believes that a global change requires local action and youth play a major role in it. He is involved in a School-University Network (SUN) program and is designing classes for school students nurturing them on the importance of the SDGs and how can they be incorporated in day to day lives. He is certain that education has the potential to change the status-quo and make the world a better place. Maringe is a young philanthropist and dynamic change agent who is inspired and committed to advance ICT for sustainable development in Africa. He has exhibited exceptional passion for developing ICT-enabled collaborative pathways to major problems in society with deliberate emphasis on climate change and youth engagement. He possess strong social and communication skills, with international experience in systematic and collaborative approaches to ICT policies and practices. Since 2012, he has represented Zimbabwe’s ICT Civil Sector on a number of both regional and international conferences and workshops. A certified Young African Leaders Initiative (YALI) Civic Leader and Alumna committed to transforming Africa. Maringe is a co-founder of the Information and Communication Technology Association of Zimbabwe (ICTAZ), Founder of the Institute for Youth Engagement in Sustainable Development (IYESD), and is a member of The International Youth Council (IYC). Suzy Manuela Prajea, Ph.D. in Mathematics, is a Math teacher and principal of one of the most prestigious middle and high schools in Romania. She is renowned for her contributions in the innovation of the way of teaching mathematics in the classroom. She prepared many generations of national and international Olympics during the years and she was permanently preoccupied to reverse the process of the abstraction of mathematics by bringing the real life applications in her math courses. Voluntarily, she founded the Space Invaders program in her school, a STEM program designed to transfer mathematics in cutting edge contemporary issues from business, industry, medicine or science. She is a Varkey Teacher Ambassador, Global Math Project Ambassador, Microsoft Innovative Educator Expert, and Honeywell Educator. In addition to Space Camp, these are only some of the programs she strived to implement in her school, community, district and country. Promoting applied mathematics, global education principles and the Sustainable Development Goals in their mathematics lessons raised her in this moment to be shortlisted for creating the STEM resource portfolio, a team project in the PISA4u Programme 2017. Her innovative ideas, approaches and work brought her as finalist of the Global Teacher Prize, the 'Claes Nobel Educator of Distinction' and many other national prizes. Emmanuel Kom Abeng, Master in Comparative Public Policy and Welfare Studies from the University of Southern Denmark. For over five years he has been involved in capacity building of local communities and strategic policy advocacy to achieve a change in local policies in conformity with MDGs and now the new SDGs. volunteer in Afrika Kontakt - Denmark Health Rights Group focused on capacity building and empowerment of grassroots communities. He also serves as a Promoter for UNICEF-Denmark defending the rights of every child. He believes the most efficient way of alleviating extreme poverty in all its forms and dimensions starts from education and a curriculum with the Global Goals as one of the pillars. Armand Doucet is a visionary, passionate and globally recognized award-winning educator, social-entrepreneur and business professional. A sought after leader, inspirational-speaker, author, columnist and blogger in multiple fields, Armand has contributed to CBC, Education Partners, BrainStem Symposium, STEM Educators Symposium, Atlantic Education Summit, #TeachSDGs, Tedx as well as many others. He has led, and collaborated with, teams from around the world, an across different industries, to success in health, education, non-profit and business. Armand was the president and founder of the Ironwill Foundation and was also part of a team of teachers who brought Harry Potter to life at Riverview High School, connecting the school to over 1.8 million people worldwide. He is driven to make a difference in his students’ lives and wants every student to inspire, educate and empower others to reach their full potential. Recently, Armand founded Life Lesson Learning, which is working to change teaching worldwide by giving 21st century skills development its proper place in the classroom through his Passion projects initiative. Armand received the Prime Minister’s Award for Teaching Excellence 2015, is a Meritorious Service Medal Recipient Governor General of Canada, is an Apple Distinguished Educator and has just recently been nominated in the Top 50 for the Global Teacher Prize. A two time Ironman athlete, he currently inspires and empowers students at Riverview High School, in New Brunswick, Canada and is working on a children’s Picture book series to empower girls to believe that they can do STEAM jobs and find solutions to the UN sustainable goals. As always, Armand is inspired by his incredible wife, Nicole, and his two girls. The Teaching Changes Lives Award from the University of Oxford and Global e-Innovation Teacher Award from the Bharti Global Foundation in India. He graduated from the Tajik State Pedagogical University and has participated in two American professional exchange programs. In 2017, he joined the UN and currently serves as a National UN Volunteer in Tajikistan. As an educator with over 25 years of experience in the classroom, district, and state level, Mark is committed to prepare students for success in the 21st century by designing and implementing curriculum that forges interdisciplinary connections, embeds global competencies, and requires students to utilize technology in a meaningful way in order to solve real-world problems and address authentic audiences. Mark currently serves as the K-12 Supervisor for Curriculum and Instruction for West Windsor-Plainsboro Regional School District in New Jersey. Previously, he taught high school history and government in Washington D.C. as well as New Jersey where he was acknowledged for his real-world experiential pedagogy running on his students’ platform for US Senate. Mark did his undergraduate work at UMASS Amherst in political science/history and received his Master's in Public Policy at Harvard's Kennedy School of Government. Mark’s work led to his being recognized as the 2010 Visionary Supervisor/Director of the Year for New Jersey along with receiving CTAUN’s Best Practices Award in 2007 and 2010 for his design work for middle school students to engage in solving global development challenges. Mabel Bashorun is the Global Education Specialist at Fairfax County Public Schools based in Northern Virginia. She facilitates student and teacher exchanges and arranges international visitations for the district. She leads professional development workshops on global education for K-12 teachers, using the UN Sustainable Goals as the basis for the curriculum development. Prior to her work in Global Education, Mrs. Bashorun taught 7th grade English for FCPS for 5 years. From 2011-2012, she served as a teacher trainer fellow in Ghana for IFESH, a non-profit organization that focused on improving the quality of education in sub-Saharan Africa. Mrs. Bashorun earned a Graduate Certificate in Incorporating International Perspectives in Education from George Washington University and a B.A in English & Secondary Education from George Mason University. Mohammad works as lecturer and researcher in Industrial & Systems Engineering (ISE) at King Fahd University of Petroleum and Minerals, Saudi Arabia. He believes that innovation happens at the interference of disciplines, which has led him to pursue interdisciplinary approaches to his job as an academic. Mohammed holds BS. in Electrical Engineering from KFUPM, MS. in Industrial Engineering and MA in Social Pedagogy from Arizona State University. Currently he is a PhD. Students at Virginia Tech University in ISE. His research interests lie in harnessing the power of science, technology, and engineering in catalyzing social change and sustainable development. Mohammed is a young leader at the Earth Charter International, an international ambassador for Global Ecovillage Network (GEN) and a co-founder of "Better Together "an interfaith organization works on creating positive, meaningful relationships across cultural differences. Naomi Volain is one of the Top 10 Finalists for the 2015 Global Teacher Prize. Most of her teaching career was in the Springfield, Massachusetts inner-city, where she used hands-on and interactive methods in environmental literacy and outdoor education. As a top 10% finalist for the NASA Educator Astronaut Corps, she uses NASA resources in her teaching. Field trips and scientific research are important ways that her students act as student scientists. As a coach of the school Envirothon Team, her students have won several environmental research awards. Naomi also received the Presidential Award for Excellence in Math and Science, the Presidential Innovation Award for Environmental Educators (Honorable Mention) and was honored with the Distinguished Alumni Award from the University of Bridgeport. She worked for NASA Jet Propulsion Laboratory's Education Office. 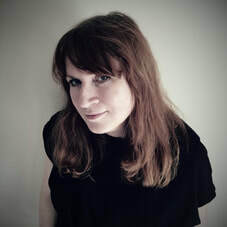 Sally Edwards is a graduate of the University of Kent, holding an MBA, and an undergraduate degree in English Literature. The majority of her work experience is connected to education, where she has worked in many different educational contexts across Europe. Having seen a lot of schools and classrooms over the years she is passionate about wanting to change the classroom and learning experiences that children encounter. She is convinced that when teachers reach their fullest potential in the class, they can then help kids reach theirs too. The SDGs make perfect sense to her, what can be more powerful than combining teachers and kids to start a global revolution in awareness and change? This is the power she sees in this initiative and is committed and enthusiastic about bringing the SDGs into mainstream education in The Netherlands. Kiyotaka Horii is a teacher at Nishimachi International School in Tokyo. He is working as the Elementary Japanese Curriculum Coordinator. As a Head of Minecraft Language Institute and Super Science Kids Academy, board member of Japan ASCD, Intel Master Teacher, Apple Distinguished Educator and Microsoft Innovative Educator Experts, he has been developing different type of curricula and organizing several technology focused events in Japan. He supervised to develop an SDGs focused curriculum for WWF Japan and launched a contest called "WWF Japan Picture Book Contest". Oji Holdings Corporation is sponsoring this event and the children in Japan are studying about FSC. Kiyotaka believes that his action to change the education system in Japan is possible to carry out. KiyotakaH.com is his site that provides variety of lesson plans. Bijal Damani is an international educator teaching Business and Entrepreneurship to Grade 11-12 students at S N Kansagra School in India. Bijal believes that for any education to make sense to the students, it must be taught in the context of real life. A firm believer of connecting her classrooms to real life – she has pioneered two projects. Social Entrepreneurship Project Galaxy Bazaar teaches students the trick of the trade and makes them creative capitalists. Not only that, the net profits earned from project Galaxy Bazaar are used to provide free quality education to girls from the underprivileged sections of the community. Project Galaxy Bazaar has earned and donated more than $125,000 U.S. for educating more than 1500 students. The project aims to support UN SDG 4 ( Quality Education) and SDG 10 ( Reducing Inequalities) Another project is in form of a competition called Innovative Product and Marketing Competition. In this competition, students team up, look around their own communities, spot a problem and come up with an innovative product to make this world a better place. Students also create an entire Marketing plan including radio jingle, television advertisement, and a website to launch that product. More than 125 such products have been innovated by her students. Bijal’s classroom practices and projects have been appreciated by many of international educational organizations. She was one of the Top 50 educators for $ 1 Million Global Teacher Prize. She is also the only Asian teacher to have been honoured by Association for Supervision , Curriculum Development (ASCD) and International Society for Technology in Education (ISTE) and Turn Around Management ( TMA) She has also been honoured with a ‘Good Samaritan Award’ from Forbes for her attempt at bridging the gap between two sections of the community through Galaxy Bazaar. Bijal also believes in effect use of technology of classroom. She is the first teacher to become a Google Certified Teacher from Mountain View. She is a Microsoft Expert Educator and a winner at Microsoft Global Forum as well. Not only that, Bijal is one of the Indian Edmodo Ambassadors and was an invited speaker at EdmodoCon 2013. Bijal is also a TEDx speaker and is heading the TED Club in her school. I am an IB educator that holds a degree in Chemical Engineering and Education. I believe that while learning new concepts and world issues (such as the Sustainable Development Goals) students will develop positive attitudes towards what they are learning and by default will initiate actions that will help and support their communities, thus activating the service learning projects that will promote a more peaceful world. I am a previous Primary School Principal and am currently working at the Bishop School in Amman, Jordan as an IB/PYP Coordinator. strongly believe that through proper curriculum mapping and creating a culture of passionate educators that share the same mission, true learning will come to life. A citizen of the world, Trish has grown up in a bilingual (Italian and English) home and has traveled to several countries. It is her passion for our cultures that help her in her profession as an E.L.L. teacher. Ms. O'Neill is in her ninth year teaching English Language Learners from around the world. When teaching her students she believes that each student has many voices from their countries, cultures and becoming new members of the Philadelphia community; to create their own stories. When teaching her students she connects these "stories" into the lessons that they are learning. Often times lessons are collaborated with local organizations to make them more hands-on and to have students understand their community. Some of these projects have been creating a video about how different countries get clean water, using Genius hour to create projects that students can do in school to help the global community and reading about Noble Peace Prize winners. Ms. O'Neill hopes to develop more lessons this year with the help of an expanding network of educators. Lisa Parisi is a veteran elementary teacher, with over 30 years of experience. 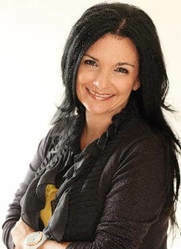 She is the co-author of Making Connections with Blogging, published by ISTE, and a frequent conference presenter on such topics as Globalizing the Classroom, Project Based Learning, UDL, and Responsive Classroom. She is a Global Teacher Prize finalist, as well as an award winner for various global projects she created and ran. Lisa believes that it will be up to this next generation of children to make the work better. 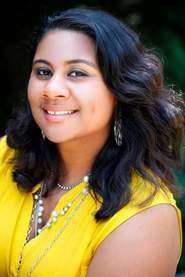 Her passion for improving the world and teaching her students about the SDGs is demonstrated frequently with her work at Denton Avenue School, a public elementary school on Long Island, NY, USA, where she teaches gifted elementary students, project Lead The Way, and is the Science Lead Teacher for her school. She uses her time with her gifted students to promote her global SDG projects, helping her students learn about and create action plans to solve the problems of the world. She promotes her work and her students' work globally, posting blogs, using social media sites, and running projects for other children to join in the fight for a better planet. Jonathan Butemba is a Public Health practitioner with over 10 years’ volunteer experience working with community-based organizations in peri-urban slum communities in Uganda. He is currently a postgraduate student at New York University’s College of Global Public Health pursuing a Masters of Public Health Degree-Sustainable Development Goals and an ACFEE Fellow. He holds a Bachelor’s Degree in Social Sciences from Makerere University, Kampala, Uganda, and has previously worked with the Global Emergency Care Collaborative to develop pre hospital emergency care systems in rural Uganda. He is passionate about the role of Education in achieving the UN Agenda 2030, and will be working to mobilize and inspire Teachers and Students in schools to take actions towards the Sustainable Development Goals through TeachSDGs and Microsoft Educator Communities of Practice. Jonathan lives in Kampala, Uganda (East Africa). ​Alex Birchenall is an assistant principal at the North Broward Preparatory School in South Florida. He believes that students can and should have a voice in the future of sustainable development. 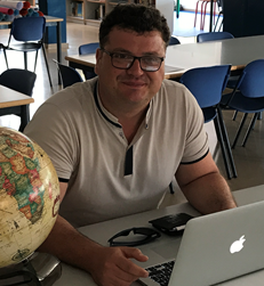 He has helped to develop curriculum for Nord Anglia Education, using design thinking to create student action projects that address the UN Global Goals for Sustainable Development. UN Global Goals Projects give students the opportunity to connect with experts and organizations in order to gain a deep understanding of global issues while engaging in authentic real-world problem solving. In July 2017 Alex led workshops for high school students from around the world at Nord Anglia’s inaugural UN Global Summit. Students at the summit presented to world leaders at the UN High Level Political Forum on how students can take action on the SDGs. Through his work with #teachsdgs, Alex hopes to expand a network of educational and organizational partnerships that can create ambitious learning opportunities for the next generation of global citizens. Deepti is a post-graduate student of Environment Management and has been working on developmental issues for the last thirteen years. She has conducted workshops with school children including informal schools, college students and communities on hygiene, waste management, climate change and disaster resilience, water conservation, and pollution. Building upon her work on the Millennium Development Goals, she is passionate about strengthening the knowledge of the Global Goals. Besides designing workshop material and conducting workshops, she has prepared proposals, reports, articles, newsletters and other communication material related to the SDGs for international organizations. She is a member of the Climate Reality Leader Corps network initiated by Nobel Laureate and former U.S. Vice President Al Gore. As a Climate Reality Leader, she raises awareness on climate change, shares knowledge on best practices and resilience initiatives, advocates the uptake of local solutions with communities and local public bodies, and facilitates adoption of climate resilience and carbon footprint reduction measures. Emma Nääs is a teacher in Sweden. She has a masters degree in Swedish, Social Studies, and English from Gothenburg University. She teaches at a very small school with only 100 students, but when she teaches, she has the whole world as her classroom. Her vision is that "with a friend in as many countries as possible, it is harder to start a war." She thinks that the SDGs should be present in everything we do in school to educate students to become empathic citizens of the world. For her work, she received the European Language Label from the European Commission and Swedish Board of Education.She is also one of three finalists for the prestigious Swedish Teacher Award "Guldäpplet," and has been selected a Microsoft MIE Fellow, a Skype Master teacher, and Ambassador for Project Kakuma. She strives to make learning real and have students feel that their voices are heard. She believes that if we teach our future generations that they matter and that we take them seriously, we will create future leaders ready to take responsibility for making this world a better place for all. She is honored and excited to become a TeachSDGs ambassador and is ready to begin this important work. Susanna is a math, biology, chemistry and physics teacher, a Project Kakuma Ambassador, and a Microsoft Innovative Educator Expert and Fellow. As a Skype Master teacher She loves to open her classroom to the world and to use new technologies in education. As a mentor she is teaching pre-service teachers at the Pedagogical High School of Vienna. Susanna joined the Human Differences Project in summer 2017 and will work on the Climate Action Project in October 2017. Eileen Heller is honored to work with teachers in the Omaha Public Schools district in Omaha, Nebraska, USA as an instructional technology trainer. She also serves as a Microsoft Innovative Educator and Skype Master. She is focused on supporting teachers in their effort to prepare students for success in the 21st century by designing and implementing learning activities that combines curriculum with interdisciplinary connections, fosters global competencies, and empowers students to utilize technology in a meaningful way in order to solve real-world problems and address authentic audiences.She is passionate about working with teachers to connect their students globally through project based learning and believes the Global Goals along with Skype in the Classroom can lead to powerful learning experiences. The ability to connect with experts in the field, sharing ideas with other students, or showcasing projects wrapped around the Global Goals via Skype allows the students to learn with no boundaries. Being new to the Global Goals herself since December 2016, she was overwhelmed by the amazing resources and the magnitude of projects others were creating. She wanted to share with educators in her district a way to get started with the Global Goals in their classroom and developed the Global Goals Starter Kit. This allowed for teachers to feel comfortable leading their students towards learning and working towards the goals along with successful connections via Skype with other classrooms across the world that were taking part in similar efforts. Eileen is excited to learn from other #TeachSDGs ambassadors through the program. She looks forward to spreading the mission of the program across her district and beyond. You can read more about why she became passionate about #Teach SDGs in her blog post, "How Can You and Your Students Make and Impact on the World". You are part of the solution.